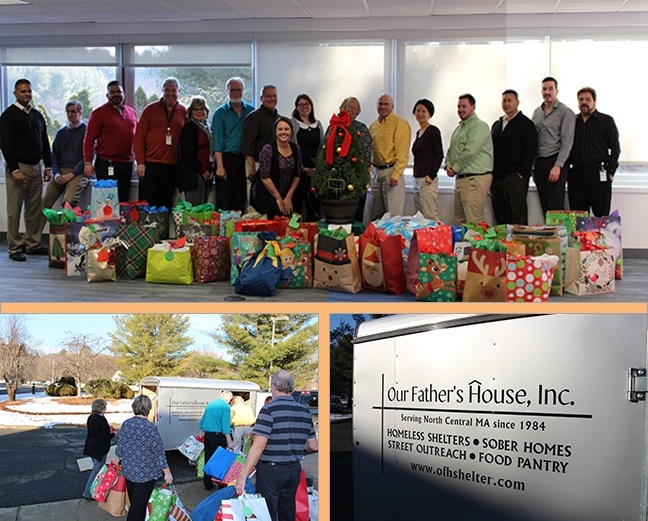 For the past three years, Headwall Photonics has been involved with local charitable organizations in north-central Massachusetts, providing everything from Thanksgiving meals and personal kits for the homeless to Christmas gifts for needy children. That spirit continued this December as Headwall employees contributed brand-new winter coats, hats and gloves for underprivileged boys and girls. During this three-year span, Headwall has aligned its efforts with Our Father’s House Shelter, a private, non-sectarian agency that provides shelter and related services to homeless men, women, and children.